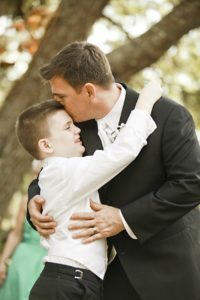 The following section consist of Autism Facts. Take this quiz grow your overall knowledge. Autism is a developmental disorder caused by a set of environmental as well as genetic factors. Some of the risk factors include developing rubella during pregnancy, alcoholism and cocaine abuse during pregnancy. It is said that one in every 70 children get affected by autism. The figures have been on the rise in recent times. There is no one single treatment available for autism. The best way to deal with it is a combination of behavioral therapy, medication and counselling. Thanks to advancements in technology, the Internet media has helped people deal with autism and other such disorders with sensitivity. Autism symptoms can be seen from the age of 1.5 years and firmly concluded at the age of 2 years. Autism is a developmental disorder often classified as pervasive developmental disorder. Autistic children display which of these following symptoms? Autistic children display all of the said symptoms. They do not babble like other babies do. However, after the age of two, they start repeating whatever is being said- echolalia. Which of the following factors at the time of conception can lead to autism? Alteration to the brain development at the time of conception is the most common cause of autism. Some autistic children may display impairment of speech and hearing. However, mot of them are extremely sensitive to sight and hearing but display an impairment of understanding. It is individual behavior from the age of one that helps in early detection and diagnosis of autism. Which of following diseases closely resemble autism? Although there are some differences, autism most closely resembles Asperger Syndrome in causes and symptoms. There is no one universal treatment procedure for children suffering from autism. The treatment is tailored as per the child’s requirements. World Autism Awareness Day is observed on April 2nd as per directives from the United Nations Council. Autism Speaks is an NGO founded by Bob Wright and Suzanne Wright in 2005.